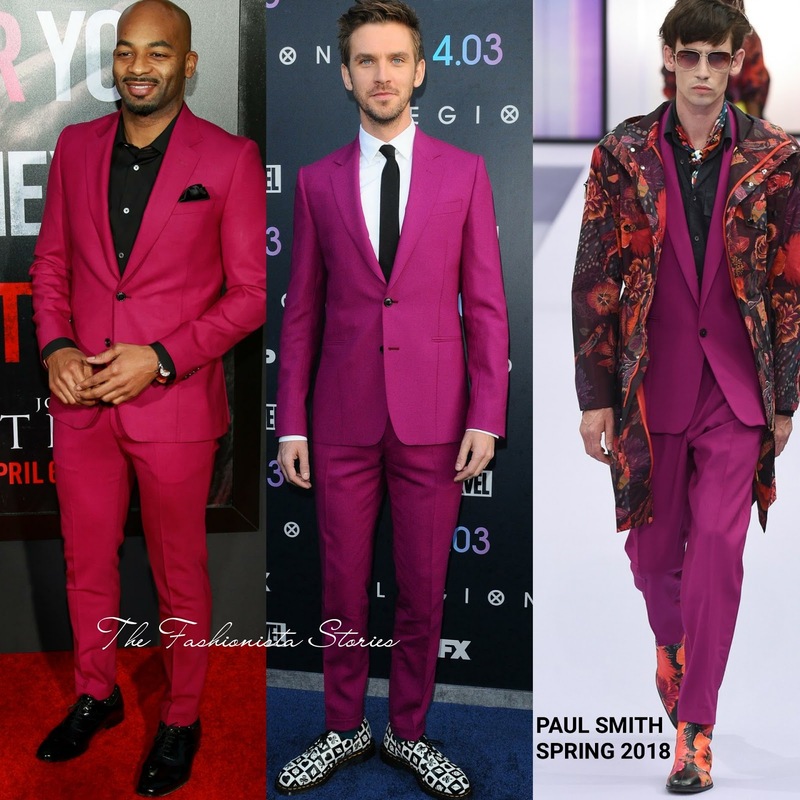 On Monday(April 2nd) Brandon Victor Dixon and Dan Stevens had fuchsia on the brain as the both stepped out on different coasts wearing a suit from PAUL SMITH SPRING 2018. Brandon Victor Dixon attended the 'A Quiet Place' NY premiere. He styled his two-piece fuchsia suit with a black button down shirt, a black pocket square and black dress shoes. The actor who gave a stellar performance in 'Jesus Christ Superstar Live' the night before, look great in the color. Dan Stevens attended the 'Legion' season 2 premiere and he gave his fuchsia suit a playful touch by pairing it with white & black printed DR. MARTENS shoes. He also styled it with a white button shirt and a black tie which topped off his look. While Brandon looked great in his suit, Dan scored extra points for his styling. Who's fuchsia suit look are you feeling?